We will be having a Mother’s Day High Tea on May 11th 2019. 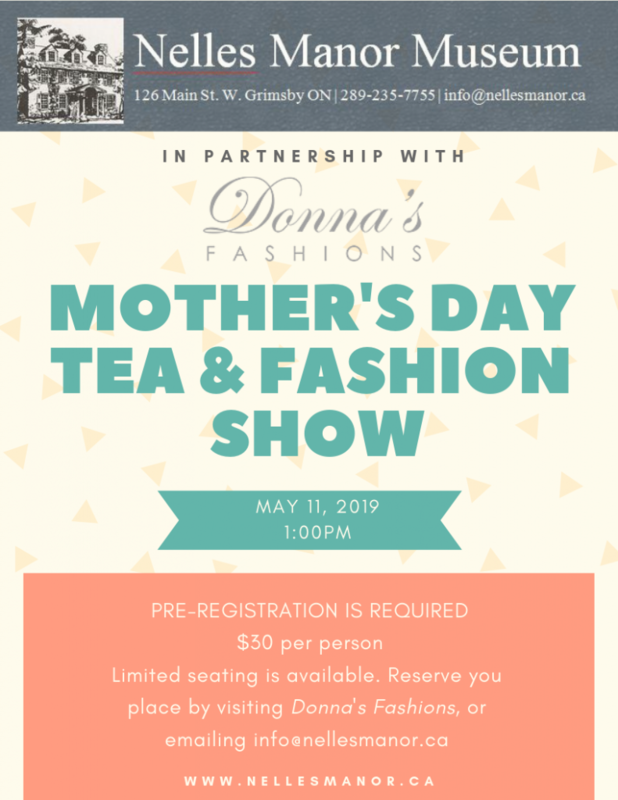 The time is at 1:00 PM.We will be providing tea, Victorian themed pastries, finger sandwiches & scones, a beautiful atmosphere in a 200 year old manor, as well as a Fashion Show in partnership with our friends at Donna’s Fashions!Seating is limited, so pre-registration is required. E-mail info@nellesmanor.ca, or leave a message at (289) 235 7755 to reserve your spot, and we’ll get back to you as soon as possible. Tickets will also be made available for purchase in person at Donna’s Fashions. Tickets go on sale April 5th.